Visit professional artisans at work. Come away with a one-of-its-kind treasure. Ever wonder what it takes to be a full-time artisan? Where does artistic inspiration come from? How long does it take to master a skill? In the end is it all worth it? Over the course of three days, eleven professional, full-time artisans will open their studio doors to share experiences and showcase their work. 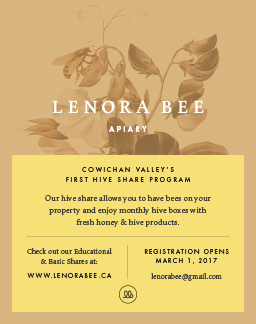 2016 Cowichan Valley Artisans Tour – April 15, 16, 17. 10 a.m. to 5 p.m.
Eclectic offerings range from fine furniture and pottery to jewellry and dichroic glass vessels. There are also paintings reflecting Cowichan scenes, intricate mosaics and smooth wooden bowls and boxes. Cathi Jefferson, Ceramic Artist; Peggy Brackett, Glass Jewellry; Ken Broadland, Wood Turning and Woodwork ; Mary Fox, Ceramic Artist; Jo Ludwig, Glass Vessels, Steampunk/Folk-Art Sculpture; Karen Trickett, Custom Furniture, Marquetry and Automotive Woodwork; Jennifer Lawson, Watercolour Painter; John Lore, Salvaged Western Big Leaf Maple; Cheryl Painter, Acrylic Painter; Veronica Scott, Glass Mosaics; Morgan Saddington, Silver Jewellry. Brochures are available online at www.cowichanartisans.com and at the following locations: Victoria -Art Gallery of Greater Victoria; Mill Bay – Visitor Information Booth; Duncan – The Garage, and Visitor Information Centre; Ladysmith – The Waterfront Gallery. See you on the tour!